Make music, use your imagination and creativity. 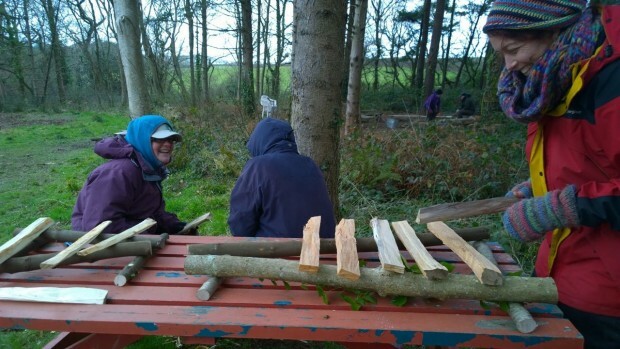 Write songs, make instruments from wood, do maths while playing and building community. 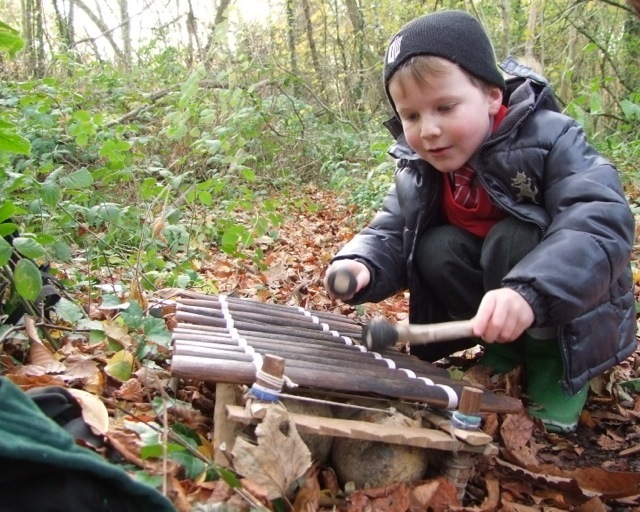 Do you want some fresh and fun ideas to add to your creative outdoor learning tool kit? 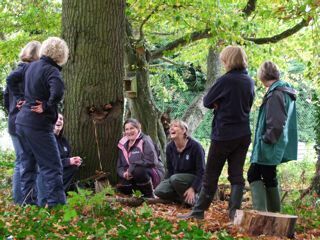 Both courses are aimed at Forest school leaders, primary school teachers, TA’s, but infact are suitable anyone who works outdoors with other people. 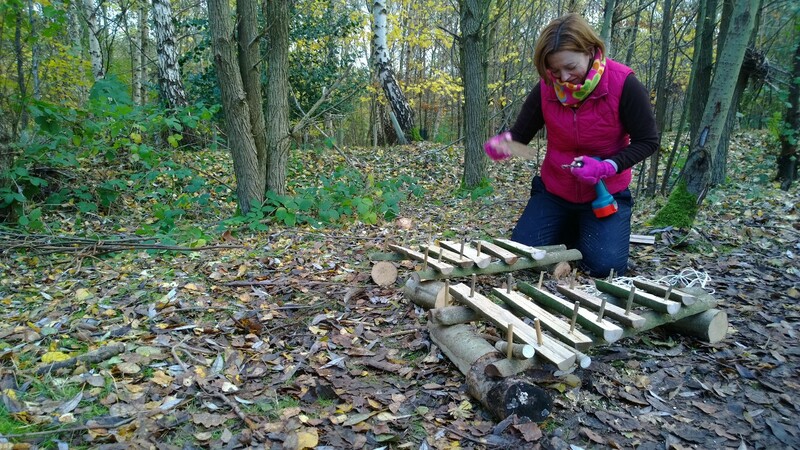 This course is a beginners guide to facilitating musicality in groups outdoors. Fun and games, activities and alone time, songs and rhythms as well as making instruments from wood and vegetables! We will make a marimba, edible trumpets, guiros and maybe more! Suitable for KS1 and 2. 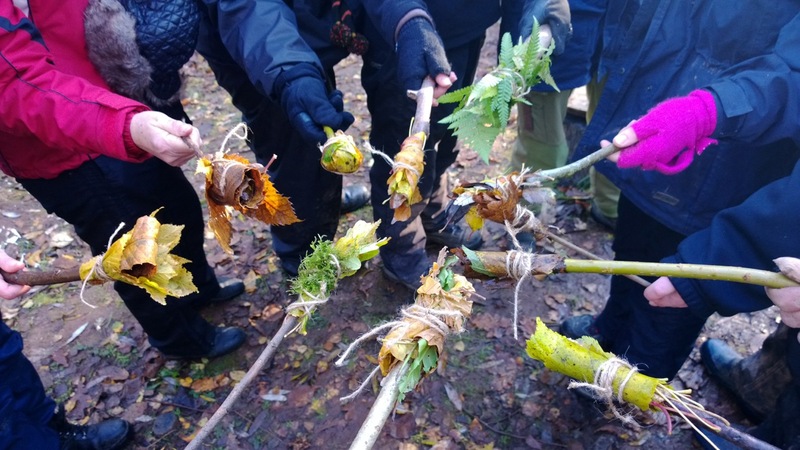 Friday 13th: The Wonder of Music, Maths and Science outdoors – How to use patterns & sequences in nature to inspire activities, games, music making and inquiry in the outdoor classroom. This course is a more in-depth guide to facilitating musicality and whole body learning as inspired by patterns in Nature. 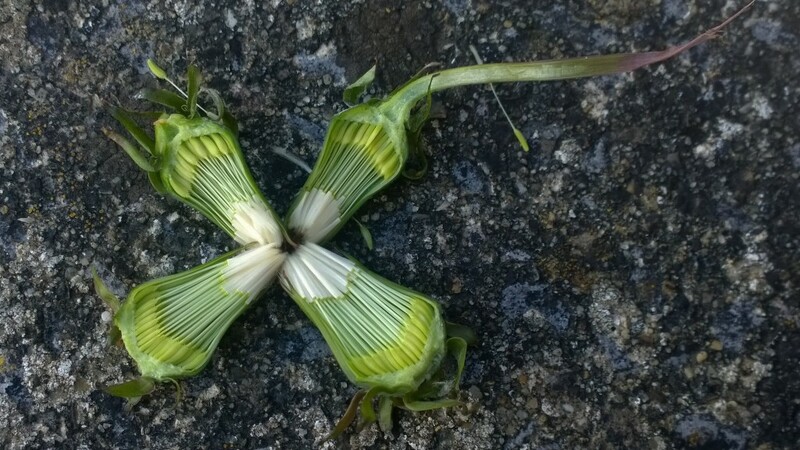 We look at numbers, patterns, “sacred geometry”, systems and symmetry, harmony and chaos in the outdoors and how these aspects of nature can inform music making, games and activities. All activities link to the core subjects of Maths and Science as well as PSHE, citizenship and literacy. Bring and instrument if you play one – though there will be lots of percussion to experiment with on the day. While the content of the day is more suitable for KS2 children, all the activities can be simplified for earlier years.